The European Union’s foreign policy chief received a lukewarm response over a proposal to send EU troops to Libya amid political turmoil and terror threats - despite EU members having participated in bombing the country in 2011. 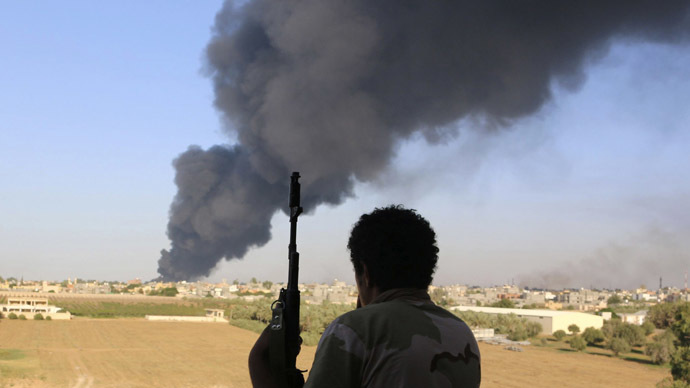 Four years after a largely Western coalition unleashed an aerial offensive against Libya, at the time experiencing political upheaval, the African nation is struggling in the wake of social breakdown and political crisis. Not to mention the arrival of members from the radical fundamentalist group, Islamic State (IS, formerly ISIS). But now it seems the European Union has better things to do than get itself involved in Libya this time around. Federica Mogherini presented the idea of dispatching a team of military and private contractors to Libya in the event that mediating efforts by the United Nations to form a unity government bears fruit. A number of high-ranking EU expressed hesitation over supporting any military activities in Libya at the present time. European Council President Donald Tusk expressed strong reservations about any further intervention in the chaos-riddled nation. "Intervening would be the simplest thing but before you do that, we have to know how to continue afterwards. There needs to be a long term strategy," he said. British Foreign Secretary Philip Hammond said Monday that "we've got to establish a ceasefire and get some unity ... before we can talk about how we might support a peace," AP reported. "We should focus on political integration right now" before thinking about security options, said Belgian Foreign Minister Didier Reynders. "It's too early to talk about it." The EU intends to propose “practical measures” to support the political process in Libya, Mogherini said ahead of a planned meeting of EU foreign ministers on Monday . Talks in Morocco between Libya's rival parliaments will resume this week, UN envoy Bernardino Leon told reporters on Friday. Ever since Libyan strongman Muammar Gaddafi was forced from power in 2011 with the assistance of leading EU countries, including France, Belgium, Denmark and Italy, the North African country has been a basket case of internal strife. 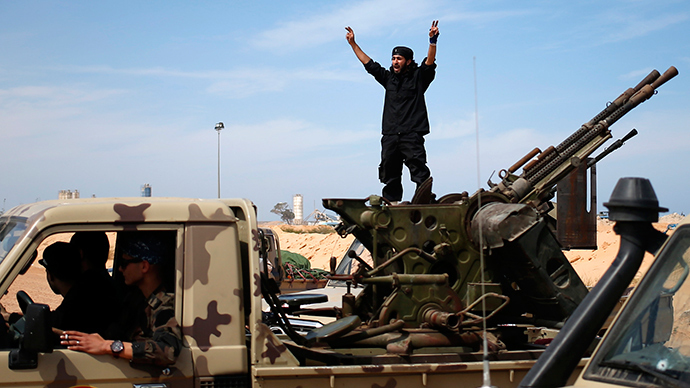 In August of last year, a group called Operation Libya Dawn, which is said to be supported by Islamists, took control of the capital Tripoli, forcing the elected Prime Minister Abdullah al-Thinni to create a separate government in Tobruk. But there are other circumstances in Libya that are making EU ministers hesitant on any further operations in the country. Mogherini's plans for dispatching European soldiers to Libya opens up the possibility of a military showdown with members of Islamic State, which has built a presence for itself in the north. Last month, Egyptian fighter jets bombed IS positions after the group staged a video beheading of 21 Egyptian Christians. Meanwhile, a number of EU countries in relatively close proximity to Libya, including Italy and France, want the EU to undertake steps to stabilize the situation, as an increasing number of refugees are attempting to reach European shores from the troubled state. In the event that Brussels gets the green light from European ministers for an EU military mission to Libya, a request would be required from Tripoli, as well as a mandate from the UN Security Council.